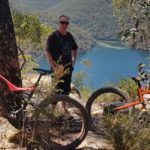 Best mountain bike trails on the north side of Sydney. Map, directions and photo's. 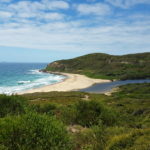 North of Sydney has plenty of superb mountain bike trails to explore. The table below contains a few mountain bike rides that trailmaze.com has ventured out too. Where: Terrey Hills, McCarrs Creek Rd. Trail Head: King Street , Manly Vale. Distance: 25km in and out. Royal National Park mountain bike trail. Distance: The basic loop is 7km. However there are numerous side tracks to explore and you can easily do 20km+ on the day. Difficulty: For the most part the basic loop would be classified as easy. However when you go down temptation creek this would be in the hard basket. 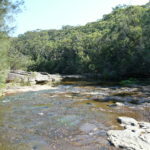 Where: 2 minutes south of Audley, heart of the Royal National Park. The southern Combo ride goes from Sutherland to Helensburgh. 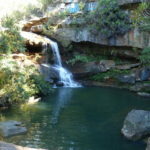 It combines the Royal National Park, Heathcote National Park, Waterfall Track and Helenburgh track. The most direct route is 26km. However you can make this as long as you like if you take a few detours. Difficulty: Not too technical. However extremely steep hills. Oaks Fire Trail, Blue Mountains. Where: Trail head, Woodford Station. Distance: 3 loops, 5km, 20km, 22km. Difficulty: Medium. Some hard bits. Narrow Neck mountain bike ride. Where: Ridgewell Rd, Blackheath, Blue Mountains. Blue Gum Swap, Blue Mountains. Blue Gum Swamp, Blue Mountains snapshot. 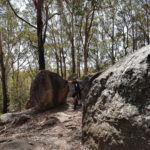 Nowra offers 3 awesome mountain biking trails to explore. All 3 are worth a ride. 5 star rating. Distance: 10km single track loop. Difficulty: Intermediate, with a few hard sections. 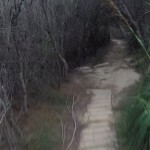 Mountain Bike, MTB, bicycle, track, trail, bush, dirt, ride, Sydney, sydney north.